Fellow role-players, here are Jason’s and my notes for Session 4 of his space opera miniseries, which Rich C.G. hosted on Monday, 28 October 2013, in Waltham, Mass. “From the journals of Ekafti Acomar, 19 B.B.Y. (before the Battle of Yavin):” After exploring two disabled Imperial cruisers near Cattamascar, the light freighter Lucky Strike followed the Shirotoku Way to Bakura. We had taken on a few passengers, including Zeltron scavenger Adaha Tila, protocol droid B-1E4, and Princess Tethys of Chandrila — an unauthorized clone of me. MX-PR and I had visited Bakura during previous diplomatic missions, and the protocol droid recalled that the planet had about 68 million inhabitants, making it one of the more civilized systems in the sector. Bakura was colonized by core worlders from Hemei IV more than a century ago (in galactic standard time) and was known for its repulsorlift and biomedical technology. I reminded “Max” to watch out for intolerance, since the colonists had put down a droid uprising about 70 years ago. As during the Clone Wars, when Gen. Grievous killed several planetary leaders, I still hoped to keep Bakura free from Palpatine’s new order. Tark Agros took us into Salis D’aar, the quartz capital. It was a reluctant homecoming for our pilot, who was related to Bakura’s ruling clan. We left Oong Bak to continue repairs on the ship and Garolos Banku Nuruolos to communicate with Rodian bookie Bal Grainer. At the landing pad, a customs agent insisted on putting restraining bolts on Max and B-1E4. Recent padawan Thayne Highlander and I were ready to use the Jedi Mind Trick to talk our way past, but a cloaked figure in a hologram did it for us. I talked with the agent later, and he didn’t recall much, but he did give us a contact number. We bid Adaha farewell. Ari Sundar needed medical attention, so the Ssi-ruu and Thayne went to the residential and commercial “B” ring of the circular city to ask about shady clinics. Dilettante Tark went to talk to his racing buddies Roviden Belden and Rennt Govia, other members of Bakura’s long-lived aristocracy. Tark learned that Sen. Orn Belden, representing the Bakur RepulsorCorp (BRC), was planning an exclusive party around a local holiday. It would be on Braad, a continent mostly inhabited by the primitive Kurtzen. Braad was also the source of the holo to the customs agent, but our trace of the signal was blocked by military police. We regrouped at a clinic that Tark’s friends had suggested, hoping to avoid official scrutiny of Ari, whose reptilian people were new to the Unexplored Territories. Garos and I also hoped to find a link to the clones of me and Ssi-ruuk we had encountered. We noticed that the receptionist was an android designed to closely resemble a human, which was a surprise on droid-hating Bakura. Tark was forced to clean out his bank accounts to pay for Ari’s surgery and medical supplies. I asked Max to keep watch on Ari and gather information as he went with her into the operating theater. Thayne, Tark, and I walked around the building and found no doors or windows. Tark used his jetpack to confirm that there was a landing pad and door on the roof, as well as a security scanner. Rather than risk Ari while she was under laser scalpels, we planned to return at dusk. Max confirmed that the entire facility was run by droids, although I sensed a single human presence deep within. Ari, Max, and I headed back to the Lucky Strike to drop off the supplies and pick up weapons, while Thayne and Tark were supposed to watch and wait. 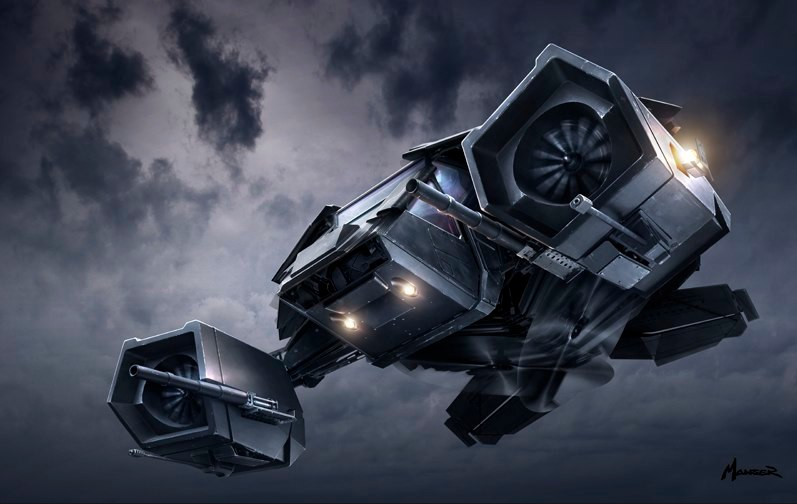 Their stakeout was interrupted as an unmarked airspeeder landed, disgorging special operations troops. Thayne and Tark rashly decided to take advantage of the raid to infiltrate further. The duo flew and climbed to the roof, then took an elevator. They incapacitated two sentries and hid in bacta tanks as Capt. Harris ordered the building searched. Ari, Max, and I disembarked from a hover train, and I politely asked an officer what was going on. He claimed it was a gas leak, but a Mind Read indicated that the police had found whatever or whoever they were looking for, and an air strike had been called. We went around the corner and warned our friends to get out fast. Thayne found an exterior wall and cut a hole with his light saber. The building exploded. Tark broke the young Jedi’s fall, thanks to his jet pack, but we were forced to lie low at the Belden estate for the night. At least Ari’s scar from Ssi-ruuk younglings was removed, and we had found where different factions were covertly fighting. That night, Thayne had another dream of a tower and Endolana, the kidnapped daughter of Jedi masters from 25,000 years ago. He saw Marala, a young woman who looked like another of my clones, lying washed ashore. Endolana shouted from the tower for Thayne to leave her alone. The next morning, we caught a lift with Tark’s friends to Telaan Valley in Braad. Buildings had been built into the valley’s walls, and lovely terraced gardens masked the sinister conspiracies we planned to uncover. We carried concealed sidearms but nothing more, and we were not frisked. I talked with President Grina Arden, the Bakuran head of state, who was surprised to see me alive after Order 66. She explained that Bakura sought to keep its independence by trading with the empire and other parties. I wondered if she knew of the warrior clones sought by the empire and Ssi-ruuk. Princess Tethys was happy to be in a high-class setting. She may be my clone, but she’s happily oblivious. B-1E4 went missing, so I sent Max to find the suspiciously acting droid. Ari caught scent of Tolovo Nathu, Bel Grainer’s runaway nurse and another of my clones. Thayne tried to make conversation with officers Capt. Blaine Harris, Anya Foravis, and Dana Galveson, who complained about having to attend such formal events. Tark talked with Juris Keel, a weapons designer, and Jarik Tai, a recruiter for the mercenary Brotherhood, both of whom he had met at the Terminus restaurant in the Grand Pelgar hotel. They said that business was good. My hopes for keeping Bakura out of imperial entanglements were fading, and Ari spotted Tolovo moving some equipment with long-necked Kaminoans, members of the same species that produced the republic’s clone troopers. Ari radioed the rest of us via comm link, but she stepped on a trumpet flower, alerting Tolovo that she was being watched. Meanwhile, Max saw a cloaked figure removing a data storage unit from B-1E4. They were flanked by two men with Force pikes. As Jedi knights, Thayne and I knew we had to confront them. Tolovo drew a pistol on Ari. Tark pretended to be tipsy and hopped in a speeder. He ran down Tolovo and her hover cart, but the Kaminoans got to their cloaked ship. Ari and Tolovo carefully righted the vials, which Tolovo claimed were full of medicine urgently needed by the Brotherhood. Thayne and I joined Max in the Cloud Berry Garden, where we used Sense Force and Sense Life to track down the three robed figures. Bela Trepada, yet another young clone of me — does it ever end? 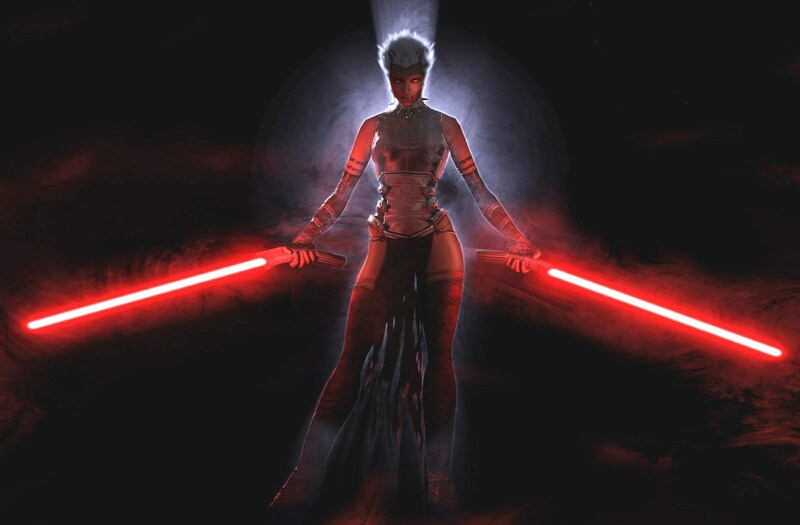 — ignited two red light sabers, reminding me of Asajj Ventress. I asked the young woman to stand down, but she was mute, well-trained, and aggressive. Fortunately, I was able to dodge or deflect her first few blows. Max was not so lucky. Thayne and I eventually defeated the two Force pike wielders and rushed to Max’s aid. Bela wounded me, and Max picked up a pike and shoved me back, saying I should run. However, I couldn’t leave him and Thayne to face my doppelganger, so I stayed. Despite my Battle Mind, the would-be Sith destroyed the valiant droid and stabbed me in the abdomen, knocking me unconscious. Thayne grabbed me and parts of Max as Bela disappeared into the vegetation. Ari and Tark agreed to let Tolovo go, on the condition that she get back in touch with us to answer some questions. Ari attended to Thayne’s and my injuries, while Tark took us back to Garos and Oong on the Lucky Strike…. Posted on October 31, 2013 February 16, 2016 by GeneD5Posted in Games, Speculative FictionTagged dark times, lucky strike, savage worlds, sfrpg, star wars, update.